The Portland Review – The Pilgrimage. | Malmaxa. Another View, of True ©. ← A letter, to my Mom. The Portland Review – The Pilgrimage. This review of the second novel in my series, Malmaxa, appeared on The Portland Review, it is transcribed below. Unlike the first book, the groth, Grolem and Overseers don’t play a large role in the story. As The Pilgrimage unfolds, what seemed like the basis for the entire series, the never-ending battle between the Seizen and the Ancient Enemy, starts to appear like a smaller portion of the plot arc, just a gear in the entire wheel that is Malmaxa. There is something more, something that the Seizen are missing when it comes to their history, their Chukrah and their ancestors. As every question is answered more spring up. What has happened to the Seizen and what is their role within Malmaxa? Why are things forgotten as a new cycle begins? What are they truly forgetting? All of these questions, and more, trouble the characters and will trouble the reader if they read between the lines. It is easy to get caught up in the surface story of the characters. 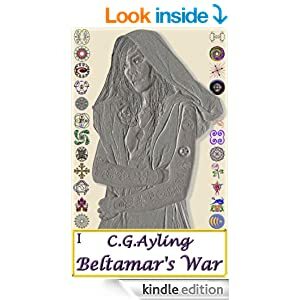 Readers will wonder whether Baltamar will be avenged, if Mithial will confess his love and whether the warriors will make it back to Malmaxa in time. The individual nuances of the characters are captivating, but the story of Malmaxa is not just about those interactions; it’s a story of everyone. A story of the grief, heartache, mischief, love and beliefs that people hold within themselves as they go about their days. It’s a story of how those beliefs can be strengthened or shaken as people think about their lives and become more aware of their foundation. The Pilgrimage ends with a cliffhanger but readers should know that the world of Malmaxa is always thought-provoking. Each decision that is made shapes the world around the characters. 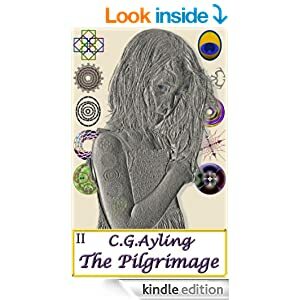 Ayling challenges readers to question whether, when faced with a situation or the knowledge of what’s to come, they would do what’s right or what’s easy.